Starting a local business on a small budget usually includes building your website yourself. It can be a daunting task, especially if you are completely new to the website world. Actually, it is easier to build a website than it used to be. Most hosts offer website builders with drag-and-drop capability. I’m sure you’ve seen the commercials that claim you can build a website in a few hours using their system. Another player in the website builder field is SiteBuildIt, better known as SBI. Occasionally, people ask me whether this is a good place to build their local business website. Since I’ve used SBI for service businesses in the past, I want to share my experience and honest assessment whether it is a good platform to use. According to SiteSell (the parent company of SoloBuildIt), SBI is an all-in-one, business building, website platform. They claim to offer everything you need to build and run a website plus a training manual called the Action Guide and user forums. For $299/year, you get hosting, domain registration, email, newsletter capability, and more. Well, before you take the leap to sign up, I want to you to be aware of some issues you may have using SBI for a local business website. 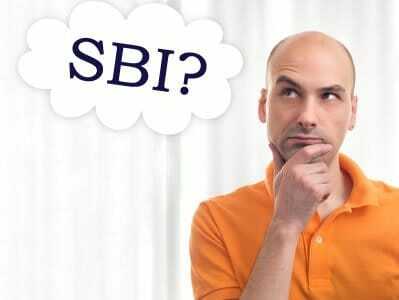 I’ll also give you some helpful advice if you decide SBI is right for you. I’ve had a motto my entire adult life, “Use the right tool for the job.” In other words, if you need a screwdriver, don’t use a butter knife! The same goes for your website… If you are building a business website, use a business-quality platform and web host. The AG is a comprehensive manual for building a website, such as choosing a niche, deciding if it is marketable, researching keywords, building the site on SBI, and more. SBI calls it a web business building guide. Sounds great! But this one item can goof up your marketing potentially costing you lost business. The AG isn’t written for local businesses. It is geared toward hobby or informational websites. You need to understand this concept before following the instructions for building your business website. The biggest business killer is this – the Action Guide teaches you to wait to monetize until you have 30 pages of content and a certain number of visitors a day. But that doesn’t work for a local business that needs to attract clients from day one. Another example: The AG takes you through a lengthy niche choosing process. But if you already own a business, you already have a niche. The keyword selection process can also be misleading. The suggested stats are fine if you need a large amount of traffic because you plan to monetize your site with ads. But those suggested stats are not accurate for a local business. You don’t need thousands of visitors a day. You only need enough to get the phone ringing and fill up your schedule book. Depending on your business, you may only need a handful of visitors per day. As a matter of fact, if you run a local offline business, you don’t really need website visitors. You just need the phone ringing no matter where potential customers find you… think Yelp, Google Maps, Angie’s List, and business directories. If you decide to use SBI, I recommend you wait to read the Action Guide until you read the SiteSell Service Sellers Master course. Then once you understand the process for building a business website, you can fill in the gaps with the Action Guide. As long as you remember the AG is NOT for your type of site, you should be okay. In case of discrepancies, always defer to the Master course. The Service Sellers Master course isn’t all-inclusive like the Action Guide, but reading it first then reading the AG should give you a better understanding of the path you need to take. The poor quality email system is why I left SBI. Actually, I don’t recommend using any web host’s default email system for business critical email. So what’s the problem with SBI if you can use a 3rd party email provider? Restrictions at SBI make it difficult to use any email system you want. If you don’t want to use SBI email, your choices are Google Apps or Zoho type services. Although those are excellent services, they didn’t meet my needs. I wanted to use Microsoft Exchange (Office 365) but there was no way to set up all of the DNS records for it on SBI. Currently, you can only create MX records at SBI. For systems like Microsoft Exchange/Office 365, you need to create TXT and SVC records, too. Hopefully, they will change this in the future so business users can set all of the DNS records they need for whatever email system they want to use. MailOut Manager is the name of the ezine or newsletter system. It is a basic system but it works. The downside is you don’t have the options available with other services such as MailChimp or Aweber. For instance, with MOM, you can’t create multiple lists or segment a list. Formatting options are limited, and there are limits on autoresponders. If you want to drip a 15-part course to your subscribers, you can’t do it with MailOut Manager. I suggest if you use SBI that you choose a different newsletter service from the start. It can be a giant pain to switch systems after you have a large mailing list. But the downside is once you start adding 3rd party tools at $10 – $20 per month, the cost of SBI starts getting pricey. Blockbuilder is the website builder and design tool. The problem isn’t with the tool itself–it works pretty well and can be learned in an afternoon or two. The problem is with the templates. Many look outdated… certainly not what you want for a business website. However, they have recently released some templates that look more like WordPress themes, so that is good news. You also have the option to build your own BB2 template from scratch. You don’t have to use the BB2 system. You can design your own site in HTML and upload it yourself. They call this UYOH for Upload Your Own HTML. You need to know HTML and CSS to use this option or hire a designer. SBI has been updating many of their modules so they are addressing some of these issues. I hope in the future they will consider business owner’s needs as well as those of hobbyists. My biggest issue with working on SBI sites is the amount of time it takes to upload and test new UYOH pages. Because SBI is a database system, there is no FTP, at least not what most people call FTP. They have a module called QuickUploadIt which can upload 99 pages at a time. But you cannot use a program like Dreamweaver or FileZilla to FTP pages to your site. If you are used to making changes then uploading the new page instantly, I guarantee you will be frustrated. I found QuickUploadIt to be quite slow compared to regular FTP… if you are uploading 99 pages, go get a cup of coffee then come back later. I’m amazed that SBI does not offer a system for creating 301 redirects. I’ve never seen another web host who doesn’t offer this functionality – it’s a common task when running a website. What if you change a page name and want to create a 301 redirect from the old page to the new? Forget it. There is no way to redirect traffic except using the meta-refresh method in the head of the old page. That method works but this is NOT ideal. Search engines specify to use 301 redirects to reroute traffic within your website. What’s worse is using the clunky meta refresh method can negatively affect your SEO. This is related to the 301 redirect problem. For advanced users, there is no root access so you can’t alter your .htaccess file. At this time, you must host your domain at SBI. For security reasons, I believe it’s better to host domains with a 3rd party, not your web host. So being forced to use SBI as your domain registrar is not ideal. At SBI, you own your domain but you don’t have full control of it. You have to contact support to unlock/lock it, which because of slow response times and red tape, can take anywhere from a few hours to a couple of days. If you are used to having complete control over your domain, you probably won’t be happy with this set up. After many years’ experience with SBI and specifically working with local business websites on SBI, I don’t recommend it for building your local business website, even if you are a complete novice. Personally, I think WordPress is a more professional platform for businesses. The new SBI templates and upgraded modules work more like WordPress, so why not use WordPress installed on a business-grade web host? Using WordPress plus 3rd party business-grade tools won’t cost any more than an SBI subscription. And it can be substantially cheaper than paying $300 a year for SBI and paying for 3rd party tools on top of it. If you need to host multiple websites, it is much more expensive to use SBI because the yearly price is per website. WordPress isn’t any more difficult to learn than SBI. There are thousands of free tutorials on the web and you can also find complete classes locally or online. Whether you use SBI or WordPress, in order to learn SEO for local instead of informational sites, read sites such as Phil Rozek’s Local Visibility System or Mike Blumenthal’s blog. You will get a much better education from Phil and Mike than you will get from the Action Guide. It is best to learn what you need to know from someone who has experience with the type of website you are building. What about WordPress + SBI? If you read the SBI marketing materials, you probably saw the tool called bizXpress for WordPress. When I took this tool for a test drive, I found it included the same Action Guide as SBI but rebranded for BizXpress. So it is still an instruction manual for informational websites. If you use this tool, follow my advice and read the Service Sellers Master course before forging ahead with your site. BizXpress is a collection of some of the SBI tools and articles. The one tool included in the package that may be worth the cost is the keyword research tool. However, you have to keep in mind that the guidelines for keyword research taught in the Action Guide are for informational sites. I also suspect (pure conjecture) that the algo used to crunch the data was also created for informational sites. Another option is connecting a WordPress blog to an SBI site using their tool called Infinit. The idea is to create a static website on SBI and a blog using WordPress so it looks like all one site. However, in the back end, you will still be working on two different sites. There is also anecdotal evidence that installing your blog on a subdomain instead of the main site can be detrimental to your SEO. If you are going to learn WordPress anyway, you might as well use it for your whole site and save $300 per year. You can create static pages with WordPress, it isn’t just for blogs. If you do decide to use SBI for building your local business website, it is important to understand the differences between your website and the informational type of websites that are the lifeblood of the SBI system. If you follow my suggestions in this article, you will avoid some of the mistakes that I and many others made with their service business websites. You want your site to be about your services – don’t build an informational site then tack on your services later. Informational articles are an excellent addition to your business website but they need to be secondary to your services. Some people build an informational site on SBI to funnel traffic to their service site hosted elsewhere. That’s okay but you get more branding and SEO benefit adding informational pages to your business website as articles or a blog instead of marketing two websites. Don’t wait to monetize until you have a certain amount of pages and traffic as suggested in the Action Guide. Your website needs to be “monetized” with your service offerings from the minute it is published. And for best results, those services need to be front and center on the homepage. Be very careful soliciting help in the SBI forums. Many people giving advice in the forums are novices. The majority of SBIers are building info sites. In other words, they don’t understand your type of business website. Before choosing SBI make sure you understand it is a proprietary system, similar to Wix or SquareSpace. If you outgrow SiteBuildIt after building a large site, it can be either time-consuming and difficult or time-consuming and costly to move it to WordPress, depending on whether you move it yourself or pay someone to do it for you. I hope this article helps you make a quality decision. I wanted to give you my honest opinion so you can weigh it against articles written by SBI affiliates trying to make a sale. I don’t like seeing fellow small business owners lose time and money on a system that isn’t right for their business. Do you have questions about what platform to use for your website? Feel free to add questions and comments below or contact me. I want to help you get your local business website working for you! I couldn’t have put it any better, Sue. Although SBI continues to offer a unique service (that being all-in-one website building and marketing tools/education), pulling it off successfully is an entirely different story. It’s not easy trying to be everything to everybody while actually specializing in a single area or industry; Even at that, ad-driven informative/hobby websites are becoming increasingly difficult to rank for while at the same time decreasingly profitable… at least from my perspective. Internet marketing has proven to work extremely well for local businesses, but the right technology and tactics are needed as you mentioned.